It takes a great deal of skill and training to properly control a commercial truck. To protect those on the road from the dangers of an unskilled, under-trained, or over-worked truck driver, there are multiple rules and regulations in place. Despite these guidelines, truck accidents are a common occurrence. Truck accidents injure or kill thousands of people in the United States each year. Because of the extreme weight and size of these vehicles, truck accidents tend to be more damaging than many other types of collisions. Underride truck accidents can be especially catastrophic. Underride truck accidents occur when a smaller vehicle goes underneath the bed or trailer of a truck. At Olsen Law Offices, our experienced team can help victims of underride truck accidents in the San Diego, CA area collect the compensation they may be due for damages stemming from this type of accident. Underride truck accidents are so dangerous because they have the potential to catastrophically injure, or kill, occupants of the vehicle that goes beneath the truck. In many cases, the roof of the smaller vehicle is completely sheared off when it goes under the truck. When this happens, the risk of death is especially high. 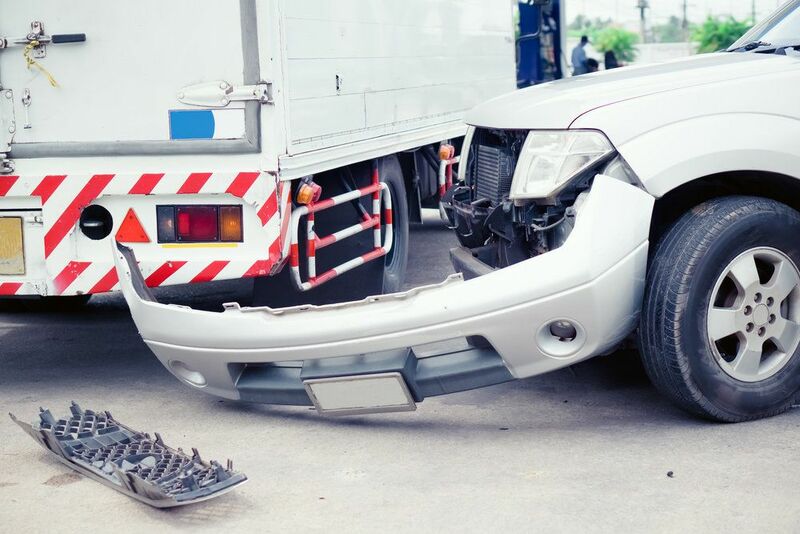 While there are many different types of truck accidents, underride accidents account for about 25 percent of all truck accident deaths, which illustrates just how hazardous these collisions are. When accident victims are fortunate enough to survive an underride crash, they are still likely to suffer from catastrophic injuries, such as brain injuries, head and neck injuries, or spinal cord injuries. An underride truck accident occurs when a smaller vehicle strikes a commercial truck and, rather than being stopped by the force of the collision, continues to travel beneath the bed or trailer of the truck. In most cases, this type of accident occurs when a truck has slowed down or stopped and a trailing car is unable to stop in time, or when a truck or car makes an unsafe lane change. There are two types of underride truck accidents that can occur: a rear underride collision or a side underride collision. Rear underride collision: Rear underride collisions are the most common. To prevent rear underride truck accidents, commercial trucks are required to have a lowered bumper rail. Unfortunately, these frequently fail to withstand the force of a rear end accident. Other issues that may contribute to a rear underride collision include a poorly-marked truck or trailer, dim tail lights, or broken brake lights. Side underride collision: Though not quite as common as rear underride accidents, side underride accidents are a real threat to drivers and passengers. These accidents usually take place at night when a smaller vehicle is turning, attempting a U-turn, or making a lane change. They often do not see an oncoming truck because it lacks important reflective markings. If you or a loved one has been involved in an underride truck accident, you may be due financial compensation for your damages. Contact our practice at your earliest convenience to discuss the details of your case with the experienced attorneys at Olsen Law Offices.